Virgin Media, quite possibly the UK’s leading broadband provider has announced that it will soon be testing internet speeds of up to 1.5 Gigabits per second on its cable network in Lond. Of course, this is more setting the bar with regards to its competition in the form of BT. Both BT and Virgin Media know that most customers will opt for the highest claimed download speeds for their area and so need to keep on pushing the speeds up. Just a shame they can’t reach those far flung rural areas yet. Recently it was announced that the national average is a whopping 6 Mbps, but many people, myself included, experience significantly less than that. On top of this, ISP are now expected to be a lot more transparent about their speeds that you will receive instead of just saying upto 8 Mbps for instance. 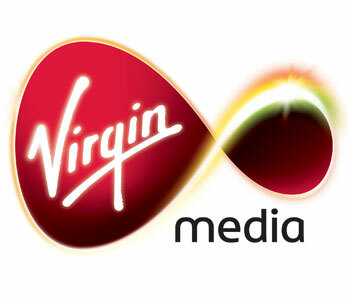 Currently the fastest product Virgin Media has on the market is only 100 Mbps and that is only in very select areas although most large cities should now be able to get up to 50 Mbps with Virgin Media. More importantly the location of this ‘trial’ is the Old Street area of London based around a roundabout with some technological investments and as such has coined the phrase ‘Silicon Roundabout’. Virgin Media are also keen, rightly so, to highlight the fact that these developments are the result of private investment (compared to BT) and so no public money is being used. There is unfortunately no indication as to when this technology will be trialed on the larger scale – let alone when they can connect all of the country to the fibre optic network.